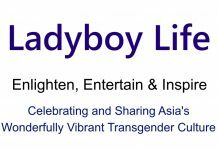 We are continuing to build our team and are now looking for talented bloggers who would like to become featured contributors to Ladyboy Life. Subject matter is entirely up to the author, but we ask that new content is submitted on at least a weekly basis and that it meets our objective of providing material that is enlightening, entertaining and inspiring. Submitted content can be in the form of text, video or photography and should be of good quality. Featured contributors will have their own page on Ladyboy Life that will include a personal description and links to their websites and social networks. They are also welcome to promote their own brand or business on Ladyboy Life and can even earn money by selling advertising space on their content pages. Please contact us if you are interested.